The Bivy-Poncho Extreme is super versatile. Rain gear on the trail and shelter in camp, all in one piece of gear. A pair of trekking poles as supports and 6 stakes will get the job done. 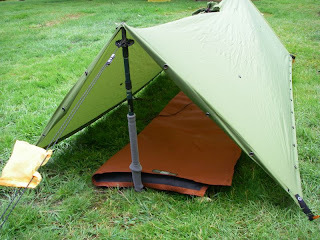 Used like this, the size and weight of your pack can be reduced dramatically. 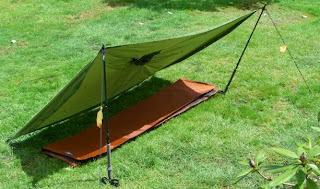 It can also be used as an emergency bivy sack by snapping the edges together.